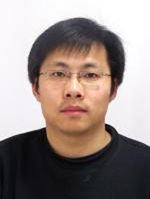 Today, Junhua is an Assistant Professor at Beijing’s Central University of Finance and Economics (CUFE). China’s shift from socialist reform led to profound changes, not just in its economy but also in the way people lived and worked. Prior to 1998 welfare housing was provided by the government, in urban areas anyway, but with economic liberalization, most people are now required to purchase housing on the open market – something that is completely out of reach for the millions who have migrated from rural areas to the cities to take advantage of the country’s economic boom. My research analysed the dynamics and constraints of Chinese urban housing growth, and its significance in shaping the economic and social wellbeing of Chinese city residents. Nobody can determine your future but you. Last Updated: 2013-06-06 11:21:18 by Emily Inglis .